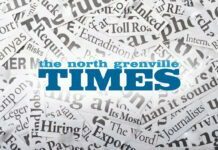 Students at the three high schools in North Grenville participated in a walk-out last week, protesting the Provincial Government’s recently announced changes to education. 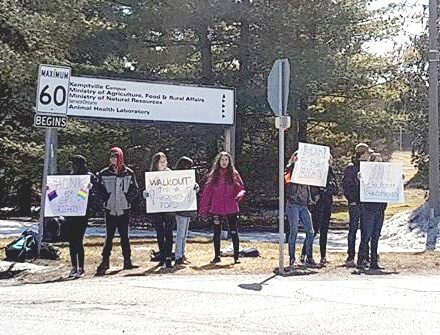 At 1:15pm on Thursday, students at St. Michael Catholic High School, North Grenville District High School and École Sainte-Marguerite-Bourgeoys joined thousands of students across the province protesting the changes. The Conservative Government has announced plans to increase class sizes in high schools and elementary schools, have planned mandatory online courses for high school students, banned cell phones in the classroom (except for educational purposes), and changed the OSAP Funding model. It has also announced plans to overhaul the autism program, introducing funding caps on what many parents see as essential services. 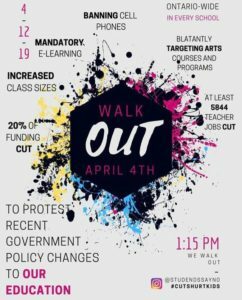 Despite Premier Ford’s accusations, the walk outs seem to have been student-led. It was student Natalie Moore, who goes to Listowel District Secondary School in southwestern Ontario, who came up with the idea for the protest. After writing to her MPP, Natalie turned to Instagram and created the handle @studentssayno, designed a poster, posted it and watched as the idea spread like wildfire throughout the Ontario student population. The Instagram account was also used to circulate a petition which garnered 50,000 signatures as of last Tuesday. 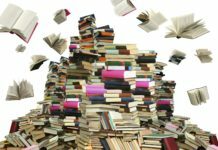 Next articleTalking about a revolution: what happened?